Introducing "Mind Your Business," a book club for business leaders, managers, entrepreneurs—anyone interested in the art and science of doing business! Built to Last, the defining management study of the nineties, showed how great companies triumph over time and how long-term sustained performance can be engineered into the DNA of an enterprise from the very beginning. 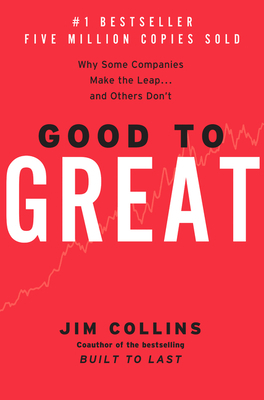 Using tough benchmarks, Collins and his research team identified a set of elite companies that made the leap to great results and sustained those results for at least fifteen years. How great? After the leap, the good-to-great companies generated cumulative stock returns that beat the general stock market by an average of seven times in fifteen years, better than twice the results delivered by a composite index of the world's greatest companies, including Coca-Cola, Intel, General Electric, and Merck. The Hedgehog Concept (Simplicity within the Three Circles): To go from good to great requires transcending the curse of competence.